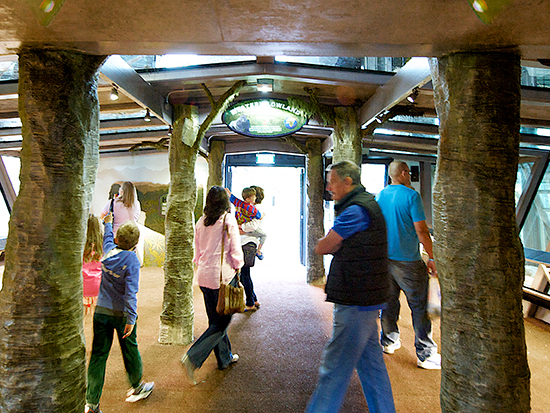 As one of the West Country’s most popular family attractions, Bristol Zoo aims to give visitors close but safe contact with the wide variety of resident animals. The zoo planned to renew the gorilla enclosure with an atrium style glass entrance allowing the gorillas to walk above visitors’ heads and requiring glass with technical specifications developed to withstand the full weight of the gorillas. Technical specifics included stepped outer ply laminated glass which was 4 edge supported. Kite Glass were delighted to be chosen to manufacture the multi-layer laminate glass. The laminate construction was derived externally before Kite Glass received the project, however the company asked Crossley Consult ltd to confirm the construction against the specification using nonlinear Finite Element Analysis. 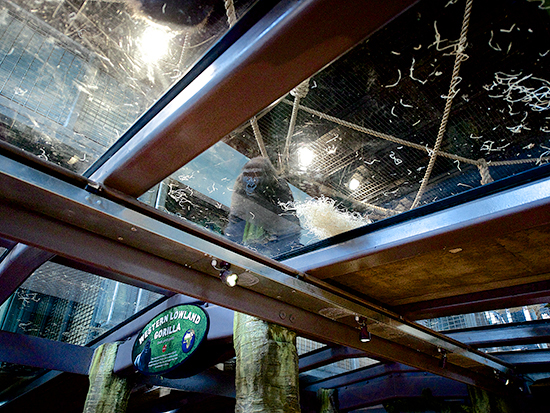 Following verification, the laminated glass was successfully installed and the gorilla enclosure now provides a more interactive environment for gorillas and visitors, whilst maintaining high levels of safety.